How To Apply And Use Vitamin E Oil For Hair Growth? Are you suffering from hair loss? Have you ever tried vitamin E oil for hair growth? Nowadays, hair problems have become a universal problem and if you are suffering from hair problems, then this article is for you. Vitamin E oil plays an effective role in making your hair healthy and strong. It involves fat soluble vitamins, which helps to achieve long, shiny and healthy hair. What is Vitamin E oil? Vitamin E is both a nutrient and an antioxidant. The purest form is tocopherol and it can be found in the form of capsules or liquid. This super vitamin exists in 8 chemical forms like alpha-, beta-, gamma-, and delta- tocopherol and alpha-, beta-, gamma-, and delta –tocotrienol. Tocopherol is the only form recommended for human usage. The biological form of vitamin e is found in corn oil, soybean oil and margarine. A variant of this oil can be found in wheat germ oil, sunflower, and safflower oils.It is also considered as a fat-soluble nutrient that protect the cells in the body. Vitamin E oil is used for consumption and cosmetic purposes. You might wonder if Vitamin E oil is good for hair. Vitamin E is very nourishing for hair and improves blood circulation promoting hair growth. This oil combats dryness and studies have shown that it hydrates and moisturizes dry and brittle hair. The antioxidant in this oil helps repair and build tissues, thereby promoting growth. In case of any inflammation in the scalp, the damaged follicles are repaired and restored. Vitamin E oil is available in the form of oil for external application and in the form of capsules for consumption. So, prevent breakage and make your hair stronger with this super vitamin. Read on to find out more. A set of fat soluble compounds with different antioxidant properties. Mix 1 ounce of vitamin E oil to 12 ounce of liquid castile soap. You can also add some essential oil such as Orange or Rosemary to enhance the fragrance. Use this as you apply other shampoo on your hair and wash out the soap, pat dry your hair and style it accordingly..
For a deep conditioning treatment, mix 6 ounces of coconut oil, and jojoba oil, 2 ounces of vitamin E oil with 6 ounces of hemp oil. Smear this mixture from the roots of your scalp toward the tops of the hair. Comb it from side to side for greatest consequences. You can also warm 2 tbsp. of this oil blend, smear to hair and wrap in a towel for about 20 minutes or all night. Clean and condition in the morning. Apply sesame oil for oily hair, carrot oil for dry hair and grape seed oil for normal hair. Mix ¼ quantities of grape seed, carrot, or sesame oil into vitamin E oil. 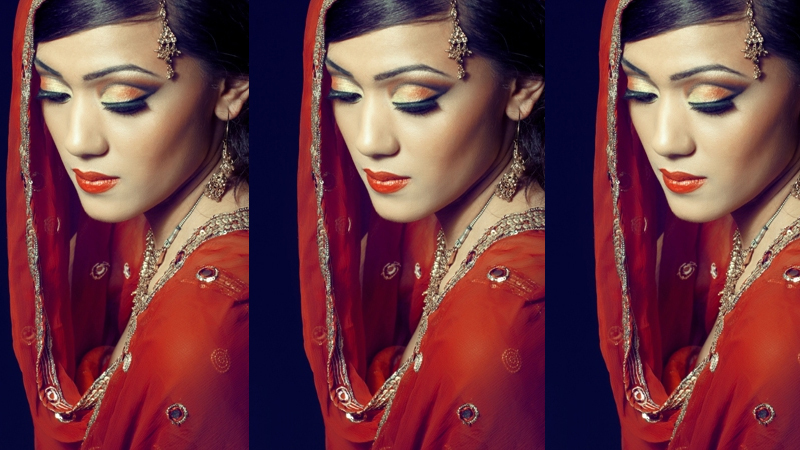 Immerse your fingers into the vitamin E oil, massage your fingers and rub the oil into your scalp. Smear the oil from the roots to the ends. Here are a few benefits of vitamin E oil for hair growth. Application of vitamin E oil on hair increases the blood flow in your scalp. So, the cells of your scalp as well as hair follicles acquire additional of oxygen. This oxygen helps in hair growth and the vital nutrients also arrive at the hair follicles in adequate amount and thus, your hair becomes healthy. It also helps to reduce hair fall. Regular massage of Vitamin E oil deeply conditions the hair and makes it better and shinier. Eating Vitamin E oil it helps in escalating oxygen content in the body, recovering the movement of blood in your scalp. It also improves the sebum present in the hair that makes the hair extra lustrous. Vitamin E prevents the cruel rays or Ultra Violet rays of the sun from hurting your hair. So, your hair remains moisturized and does not lose its nutrients. It not only benefits in the growth of your hair, but also maintains the hair free from external damage plus makes it fit. Below we have discussed about what are the benefits of vitamin E oil for hair growth. Application of vitamin E oil on hairs increases the blood flow in your scalp. So, the cells of your scalp as well as hair follicles acquire additional of oxygen. This oxygen helps in hair growth and the vital nutrients also arrive at the hair follicles in adequate amount and thus, your hair turns into healthy. It also helps to reduce hair fall. A regular oil massage of Vitamin E oil deeply conditions the hair plus makes it better and shinier. If you eat Vitamin E oil it benefits in escalating oxygen substance in the body that in turn, recover blood movement to your scalp. It also improves the sebum present in the hair that makes the hair extra lustrous. Vitamin E prevents the cruel rays or Ultra Violet rays of sun from hurting your hair. So, your hair leftovers moisturized and not lose its nutrients. It not only benefits in the growth of your hair but also maintains the hair free from outside damage plus creates it fit. Excessive hair treatment scan result in hair dryness and pollution. Massage your scalp with 2 big tablespoons of Vitamin E oil lightly and afterward mask your hair with a hot towel. This will guarantee even and moisturized hair. Vitamin E oil helps to break the aging procedure. To treat Gray hair, smear Vitamin E oil on the hair from roots to top of the hair to get great results. You can also eat Vitamin E loaded foods like broccoli, soya, beans, wheat germ and eggs. When you apply vitamin E to your scalp, it helps lessen irritation and fix damage to the follicles, and healthy follicles encourage hair growth. Let’s focus more on how Vitamin E oil can stimulate hair growth. This is the primarily benefit of Vitamin E oil. The antioxidant properties repair damaged follicles and prevents further damage which further stimulates hair growth. Additionally, this oil is an excellent conditioner for dry hair and makes your hair shinier and healthier. It also addresses issues related to premature greying and hair fall. Let’s look at some of the secret recipes that have worked for generations using this wonder oil. 1: Mix the oil from Vitamin E capsules, approximately 2 capsules, and 2 tablespoons of coconut oil and olive oil that’s warm. 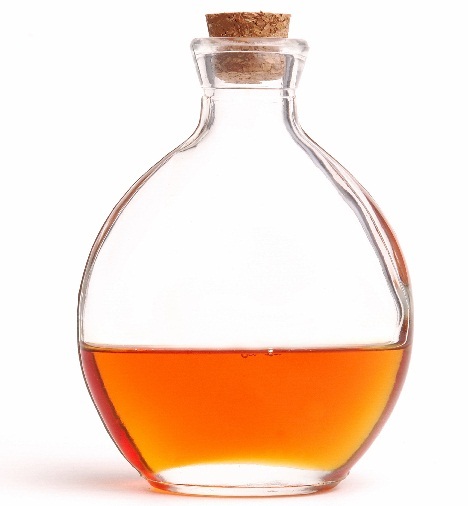 Gently massage this oil on to your scalp and leave it on for 30 minutes. Rinse your hair and shampoo as usual. 2: Use Vitamin E oil like conditioner. Regular use of this oil keeps your hair soft and manageable. Shampoo your hair as usual and pour a coin sized oil and apply it to your scalp. If you feel it is thick and sticky, leave the oil overnight instead. 3: Eats foods that are rich in Vitamin E. Foods like green leafy vegetables, sprouts, nuts and oil are abundant in this power vitamin. Alternatively, you could also start by using Vitamin E oil capsules. 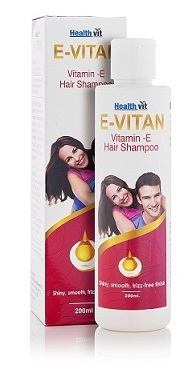 4:Vitamin E based Shampoo- A lot of shampoos these days contain vitamin E to provide extra nourishment to your dull hair. These shampoos are gentle and help the scalp retain its natural oil. It aids in hair growth but not on its own. 5: Mask it in: One of the best ways to use Vitamin E is in the form of a mask. Add 2 eggs, e vitamin E capsules and 2 tablespoons of cold pressed almond or olive oil. Whisk the eggs and add the oils until the mixture is fluffy. Apply it to your hair and rinse using a gentle shampoo after 20-30 minutes. Voila, soft hair with the goodness of Vitamin E.
This shampoo makes your hair smooth and healthy by strengthening it from the roots. It also treats itchy scalp and dandruff and keeps the scalp clean. Use this shampoo for excellent results. This nutrient rich vitamin E based shampoo boosts hair growth and also adds shine and glow to your locks. 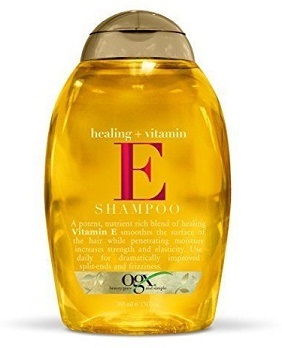 Treat each strand with the goodness of this vitamin E based shampoo to heal any damage. Use this regularly and address dry and brittle hair. This vitamin enriched shampoo makes your hair healthy and shiny with its abundance of Vitamin E and other essential oils. This shampoo also helps soothe dry and affected scalps as this is very gentle. This shampoo is suitable for all hair types and works very well for coloured hair too. It is suitable for both men and women. Are you looking for a treatment you can accomplish even more regularly without adding time to your schedule? 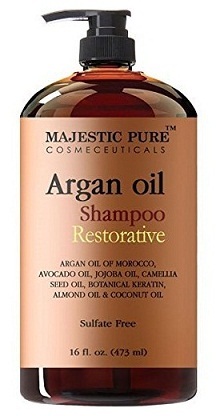 Numerous shampoos and conditioners incorporate vitamin E. These items are formulated for regular use and are regularly made for dry, damaged hair.It’s best to give the product a chance to sit for a couple of minutes while you proceed with your shower routine to enable the product to work its way into the hair and scalp. Search for items that contain basic oils like lavender, peppermint, or tea tree oil for included hair benefits.